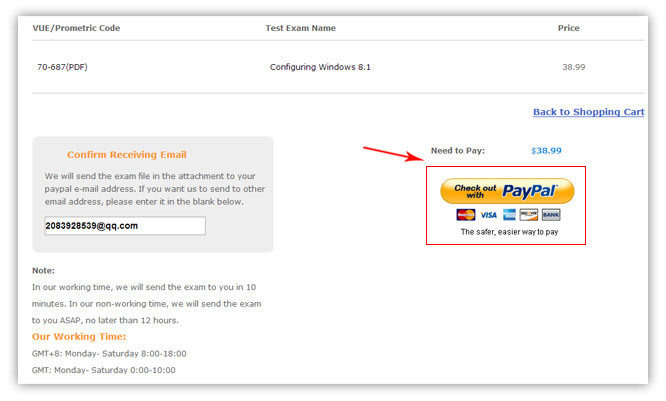 1、Click "Sign in / Register" on top right corner on our website, to become a formal member of Examunion. 2、If you have registered before and been our member, click "Sign in" button directly. If not, you need to sign up first. 3、After you register or log in successfully, you will be forwarded to the User Center. 4、Through "Search" to find the exam which you need. At this step, you can choose the options “Software” according to your requirements. After you confirm that well then click the button "Add to cart" to add our product to the cart. 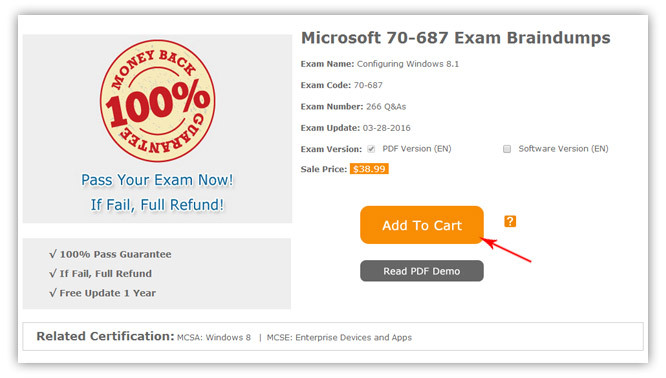 5、In this page, please confirm the exam name and code carefully. You have three ways to get the discount. 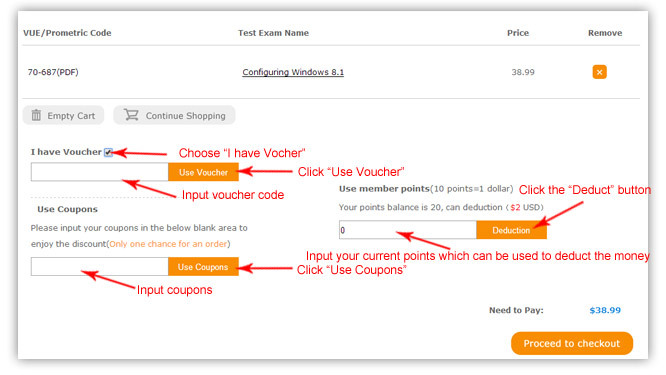 First, if you have the voucher you can use it directly as the picture showed then click " Use Voucher". Second, you can type our discount code in the Coupon blank and click "Use Coupons". Third, you can use the bonus points you have. 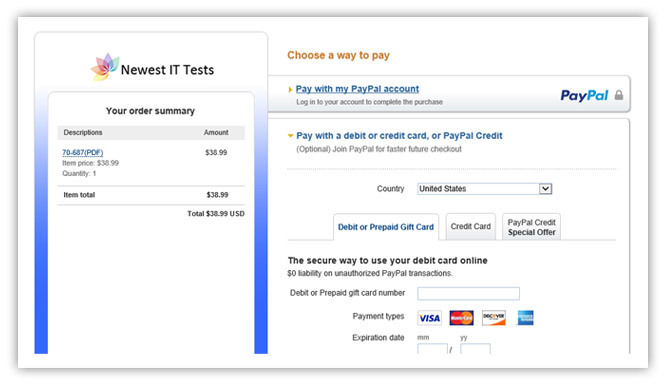 At last, you should click the button "Confirm the order and to pay" into the next page.